After you buy a home and several years pass the needs of you and your family change. Especially in the case of vacation homes the ability for everyone to consistently visit over the years diminishes or increases and these changing needs oftentimes result in needing either a larger home or downsizing. If you are considering making moves this spring and summer, make sure to consider what steps to take if you are buying and selling at the same time. Whether you are moving up or downsizing, you will need to take inventory of your current and future needs in a vacation home. Are you hoping to retire here? Do you children visit often? Will you need more bedrooms as your family grows? Consider all of these questions and more before you list your current home so you aren’t stuck with a home quickly sold and no idea where you want to go from there. 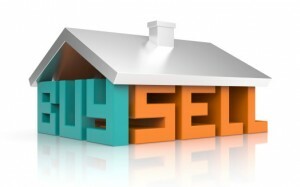 The real estate market right now is primed for those hoping to buy and sell at the same time. Rising prices likened to seller preferences and interest rates on the lower end of the scale for buyers have created a market primed for both ends of the bargain. Doing both transactions at the same time will take tact and a real estate agent who can navigate you expertly through the process. If you sell your present home first before you have found the perfect smaller home, consider renting until you find the right home for your needs. This could also be an excellent way to decide on which area to buy if you aren’t set on the location of your previous home. There are so many beach communities in and around Destin that finding a new place to explore may be your answer. Finding the home that is perfect before selling your present home is a little trickier, but it is possible. Paying two mortgages at one time is not optimal, but is definitely manageable. If necessary there are bridge loan options available. By taking the time to thoroughly think through the process and have a plan for both the buying and selling scenarios, the entirety of the situation will not as complicated as you may think. Whether you are downsizing your primary home or looking for a smaller vacation home, the excitement of stepping into a new stage in life along with a good plan will carry you through along with an expert agent who will handle all of the little details. If you have any questions about selling your current home or buying a new property, please give us a call, we would love to answer any questions! For more information on selling your current home, check out our Definitive Guide to Selling Your Home.